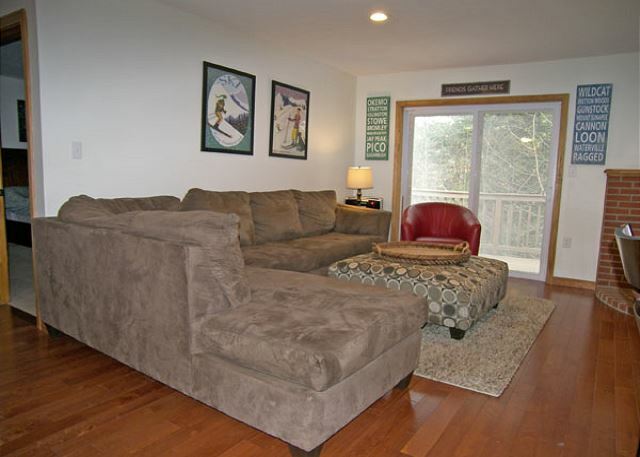 Lovely, fully remodeled second floor walk-up condominium with three bedrooms and two full baths. 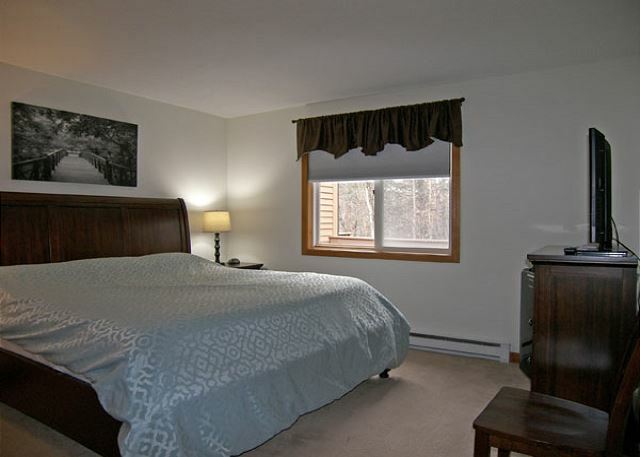 Enter to a short hall with a bedroom immediately on your right offering a queen size bed and wall mounted flat screen TV. 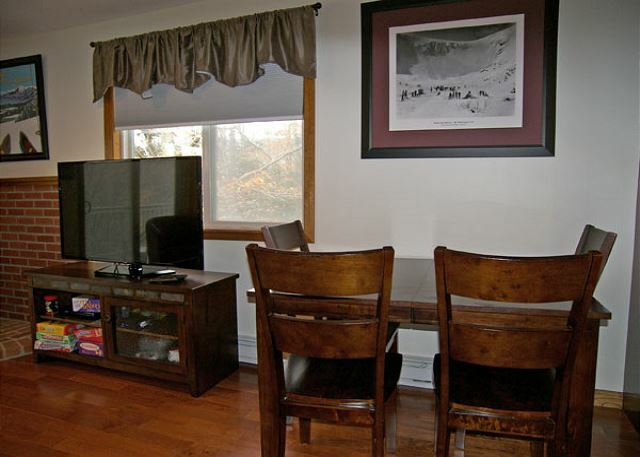 Continue on to the kitchen, dining and living area with hardwood floors throughout. 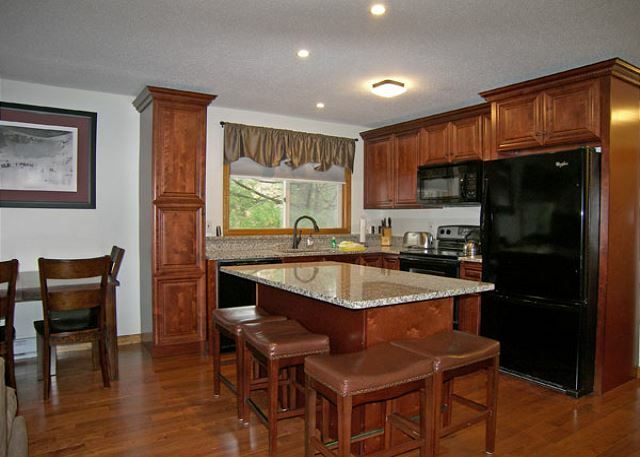 The kitchen is newly designed and offers modern appliances. The dining table has seating for six with four additional seats available close-by at the kitchen counter. 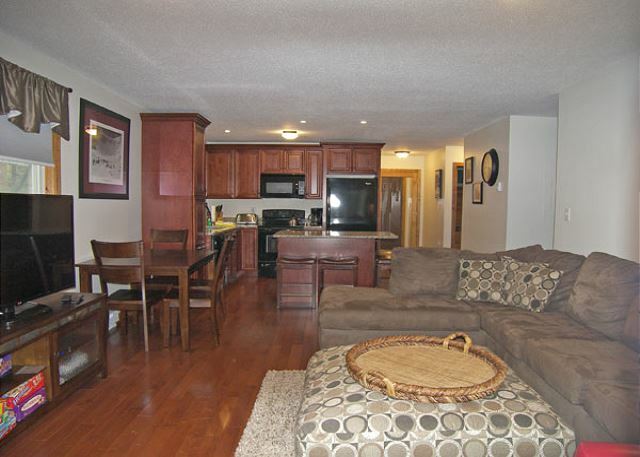 The comfortable living area has a spacious couch, leather chair, large flat screen television and pellet stove. 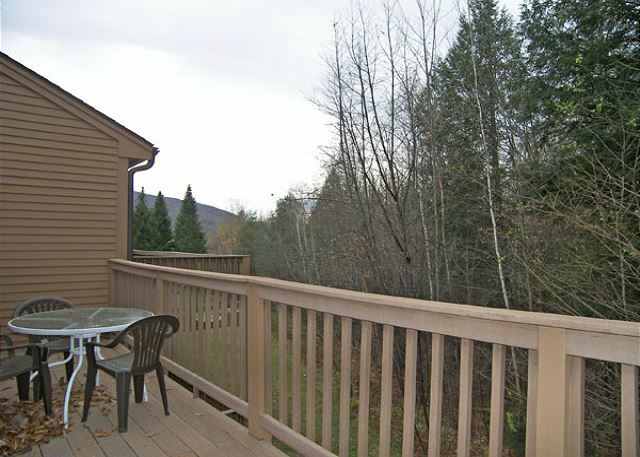 The spacious back deck is access from the living room sliding door. 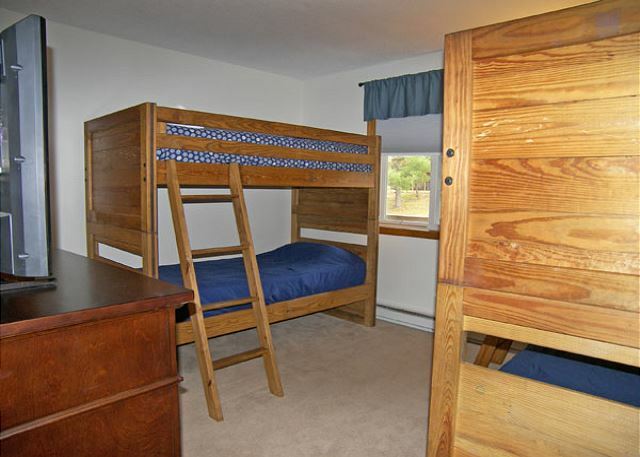 A second bedroom with two sets of bunk beds and a flat screen TV as well as a separate full bath can be found off the kitchen. 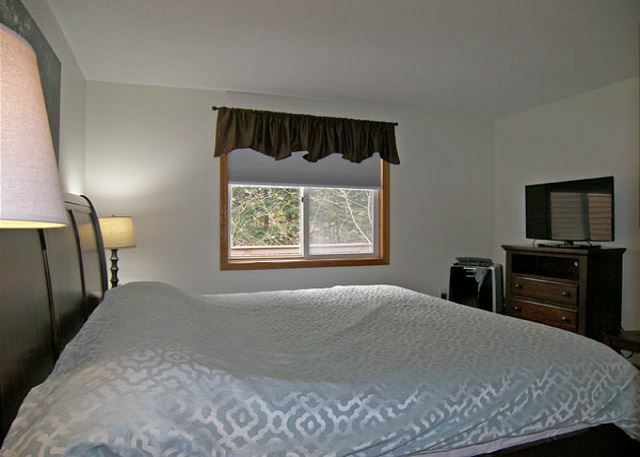 The master bedroom suite with a king bed, flat screen TV, air conditioning and full private bath is located just off the living area. At Mansion Hill you can enjoy the outdoor pool and tennis courts during the summer season. Columbus Weekend 2018, what a great place to unwind and relax, this unit has all the upgrades and felt very comfortable, just like being at home. This is the third time we have stayed in this condo unit. 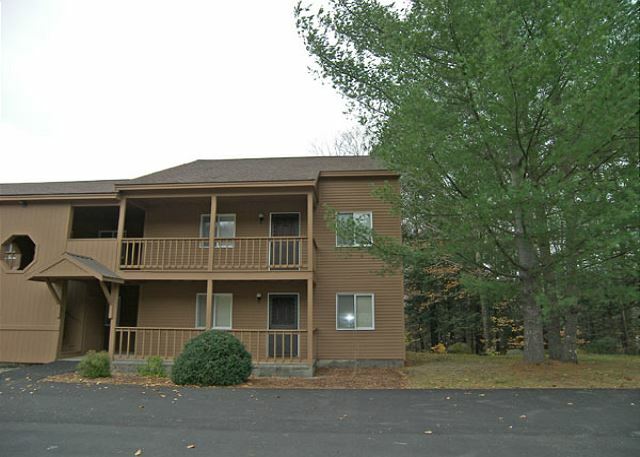 It is spacious, relatively new updates, location is great for all the outdoor activities we do. Has AC, and fun family games to play. I arrived and everything was Good. We had a very good experience with management. We found everything to be nice and clean. Very comfortable beds. The place is in a central location to all the activities we had planned and we had phone reception. the place was clean and well stocked. The only downside is it is located right next to 93 so it is very noisy with the windows open. We had a wonderful time! The house was beautiful and we'll kept. Great location!! 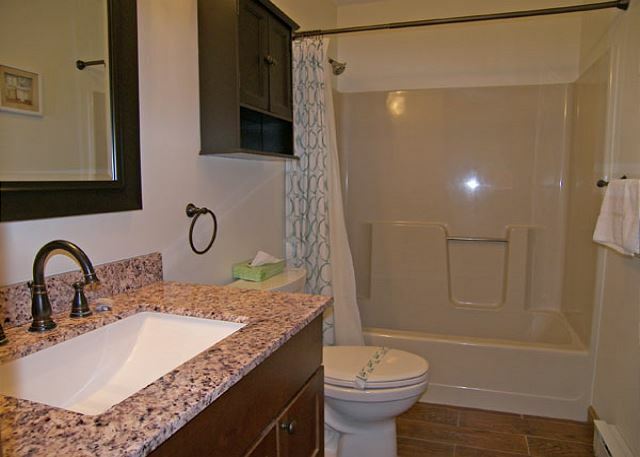 The place was great - clean, everything was new or recently updated. The location was right in the heart of the things we did so that was good. I would have liked to have an AC in every room - it was rainy and very muggy the beginning of the stay. Also, once it cleared up and the humidity left we tried to open the windows. That is when we realized how close the highway was to the condo, even more noisy than the AC. Otherwise, we enjoyed the place. Overall, this location was very satisfactory. Clean, updated with a good layout. 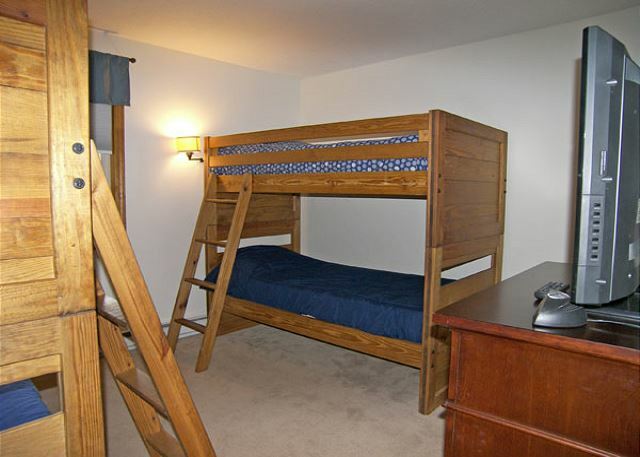 The bunk room had an off odor but appeared clean. This was reported at checkout. Property had everything as described. It was spotless, comfortable, great place to stay. We would love to come again. 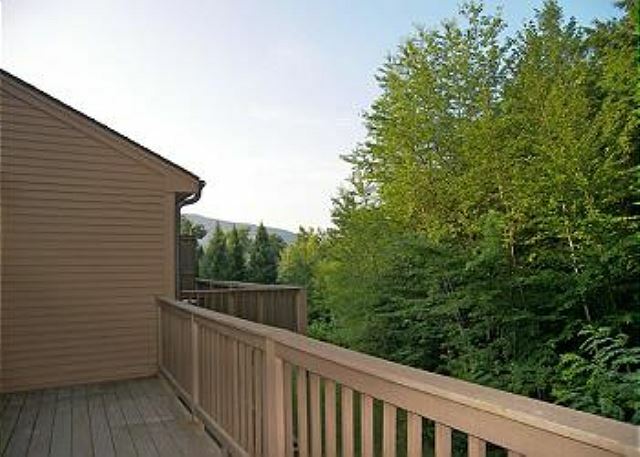 Nice location, very clean, close to the mountain and stores. Perfect for a family because of twins beds. Outstanding experience overall. Super clean, airy, fully stocked. Good location for our needs.